A quick response is needed in the event of eye injuries in the workplace, as most damage to the eyes occurs during the first few seconds of injury. 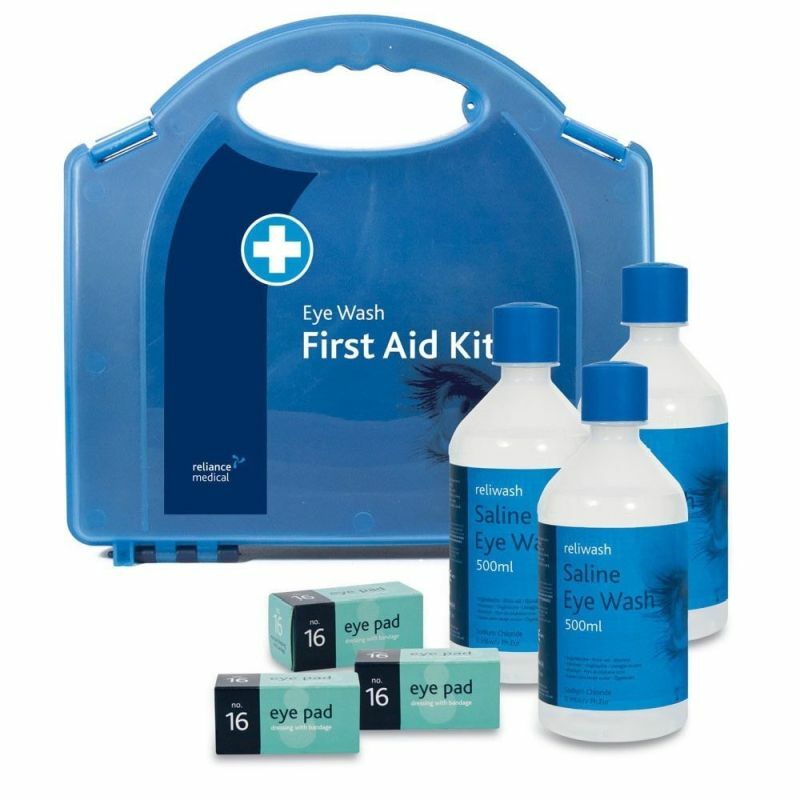 The Triple Eye Wash First Aid Station provides sterile materials used to flush out any irritating substances that have come into contact with the eyes. If a person has come into contact with abrasive chemicals but mains tap water is not readily available for eye irrigation, the standard HSE practice is to have at least one litre of sterile saline solution to flush out the eyes. These kits are useful to hang around areas where exposure to chemicals is high, such as factories or laboratories. First aid can prevent small injuries from becoming major injuries, and this easy to use wash station ensures that effective care is taken for the eyes. Kept in a durable polypropylene case fixed with blue safety clips and a bracket for easy wall hanging, having this in the workplace will reassure staff you are prepared to aid them in case of emergencies. The Triple Eye Wash First Aid Station is usually dispatched via First Class Royal Mail and delivery should be within 1 to 3 working days.